However, throughout my adult life I have found whenever another man puts his arm around my shoulders, a traditional sign of brotherly affection, I stiffen and slightly pull away, which has short-circuited some friendships. By and large, the incident did not keep me from marrying the right woman, having two wonderful children and enjoying a host of good friends in my older years. This memory re-emerges briefly when I read in the newspaper another child who kills himself because he was bullied, or he himself becomes the killer. I see bullying become a legitimate campaign tactic. I hear people comment on the Millennial activism, “Those kids have to be given hot chocolate just because an election didn’t go their way.” That statement in itself is a form of bullying. I wonder about official school policies that state a person has to have more than one incident by the same person in order to be considered a bullying victim. Sometimes television situation comedies will show the best way to handle a bully is to be a bully right back at him. 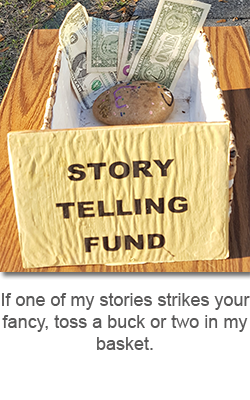 This entry was posted in Opinion and tagged opinion, storytelling on July 12, 2018 by jerrycowling.